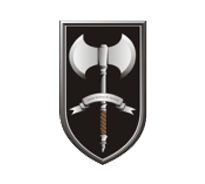 The Special Operations Engineer Regiment (SOER) is a specialised unit of the Australia Army, and one of its newest units, and provides a number of leading edge capabilities in support of special operations. This article will provide the reader with an outline of the SOER starting with its background and then role. An overview of its organisation and capabilities will be provided before moving on to recruitment and selection and the SOERs motto. Finally the article will provide some useful links. In 2002 the Australian Army formed the Incident Response Regiment (IRR) in order to respond to Chemical, Biological, Radiological, and Nuclear or Explosive (CBRNE) incidents. During 2010 and 2011 the role of the IRR changed to supporting the Australian Defence Forces’ (ADF) Special Operations Command (SOCOMD) and a decision to rename the unit was made in response to this evolution of capability and maturity of the unit beyond that of incident response (Australian Army, 2012a). Subsequently, on 24 February 2012 the IRR was retired from the Army’s Order of Battle and the SOER became the Australian Army’s newest unit (Australian Army, 2012b), and a subordinate unit of SOCOMD. The SOER is a highly capable SOCOMD incidence response unit providing leading edge mobility, survivability and specialist counter CBRNE capabilities in support of special operations, achieved through agile and highly trained Combat Engineer teams. The SOER is able to respond both domestically (Tactical Assault and Contingency Groups, TAG) and in support of ADF forces deployed overseas (Special Operations Task Group, SOTG) in high threat environments. As a rapid response organisation, elements of the SOER are maintained on short notices to move to incident sites at all times. The SOER also includes an aviation emergency response section which provides emergency rescue services to SOCOMD and the remainder of the Army. The SOER is commanded by a Lieutenant Colonel (OF-4) and is headquartered in Holsworthy Barracks, Sydney. In addition to Royal Australian Engineers (RAE), the SOER consists of Army members from a range of other Corps, including intelligence, signals, medical, nursing, ordnance, transport, and electrical and mechanical engineers. The Regiment also employs specialist civilian staff to ensure that the unit is always operating at the cutting edge of counter-CBRNE technology. The SOER is comprised of A and B Squadrons and the Logistic Support Troop. There is also a Special Recovery Operations (SRO) detachment working out of Perth in support of the Special Air Service Regiment. In addition to the traditional Combat Engineer, EOD and EDD skill sets, SOER also has a specialist CBRN medical capability; a small but highly dedicated team of medical personnel constitute SOER’s Primary Health Care Team (PHCT) and retrieval capability (Australian Sapper, 2013). In addition to the specialist CBRN medic course, run as part of the PHCT REO cycle, medics are up-skilled in parachuting, air and water insertion and extraction techniques, roping and other Special Operations skills in order to provide exemplar medical care for SOER and other Special Operations FE, in or out of a CBRN threat environment. SOER also utilises intelligence fusion and technical exploitation capabilities, drawing on their full range of operational, intelligence and geospatial/MMT capability to progress these important yet often overlooked operational force-multipliers. The SOER conducts an annual six-month reinforcement cycle in order to teach newly posted personnel the requisite Special Operations Force skills (weapons, insertion and extraction techniques etc) and advanced search and CBRNE qualifications required for SOER operations. In 2013 the SOER trialled a pilot screening activity for all members seeking a posting to SOER, the results of which would become apparent in the 2014 intake (Australian Sapper, 2013). The motto of the SOER is ‘Inter Hasta Et Hostes’, which is Latin for ‘Between Spears and Enemies’. This signifies the traditional Sapper role and enduring unit requirement to operate in the dangerous space between enemy threat forces and own troops in order to ensure mission success. The ‘Axe’: as compared to the SASR and Commando daggers – represents a less refined yet equally important multiple-use weapon that can be employed in an offensive or defensive manner. The significance of having two sides lies in the requirement to apply the unit’s capability to counter concurrent asymmetric threats; and also to ensure balanced application of effort to several competing yet equally important priorities: SASR and Commando; RAE and SOCOMD; military and civilian. In ancient times, it was also the last available weapon system when all other options had been exhausted and the task needed to be completed. The ‘Shield’: represents the responsibility of the unit to ensure survivability of its supported SOCOMD, ADF and Australian force elements through the application of counter-CBRNE capabilities. It also has strong linkages to the previous motto “To Protect” as adopted by the Incident Response Regiment. Australian Army (2012a) Newest Unit: The Special Operations Engineer Regiment. Available from World Wide Web: http://www.army.gov.au/our-work/news-and-media/news-and-media-2012/news-and-media-march-2012/newest-unit-the-special-operations-engineer-regiment. [Accessed: 27 September, 2014]. Australian Army (2012b) The Raising of Special Operations Engineer Regiment. Available from World Wide Web: http://www.army.gov.au/our-work/news-and-media/news-and-media-2012/news-and-media-march-2012/the-raising-of-special-operations-engineer-regiment. [Accessed: 27 September, 2014]. Australian Sapper (2013) Sapper Sitrep: Special Operations Engineer Regiment. Australian Sapper 2013, pp.64-65. It states above that SOER participates with TAG, does that mean as an operator like the guys from commando units? Or is it some kind of support role? Engineer SOER Personnel operate in a Combat Support (CS) capacity, other SOER personnel (e.g. medical and transport) operate in a Combat Service Support (CSS) capacity. does SOER have a Reserve component? If so who do you contact to make enquires and if you know any contact numbers? I’m a reservist returning to Active Service and need to find a unit and would be happy to talk to these guys. I know the two Commando Units have reservists but I cannot give you a definitive answer about SOER, but I would be surprised if the answer was no. Speak to SOER direct, as they will give you the authoritative answer. Your unit administration clerk should be able to provide the telephone number you require.